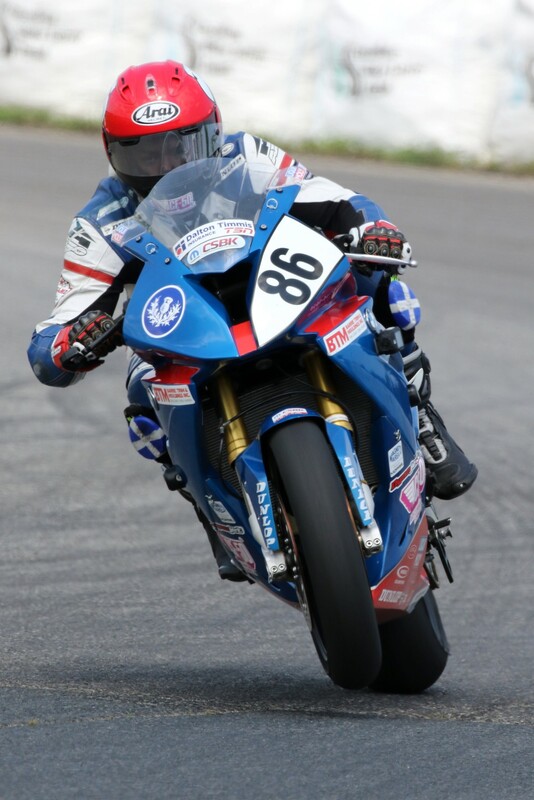 Port Perry, Ontario (May 31, 2018) - The opening round of the 2018 Canadian Superbike Series (CSBK) took place this past weekend (May 25-27) at Shannonville Motorsport Park in Shannonville, Ontario. 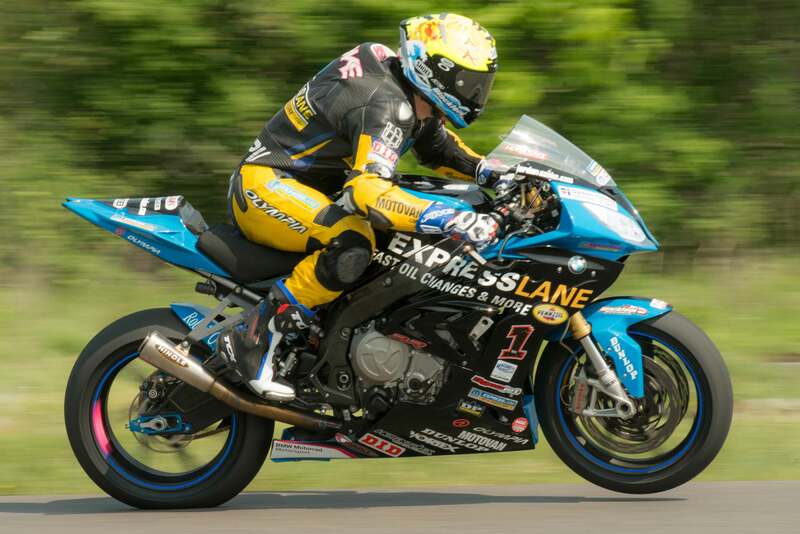 Reigning Pro Superbike Champion Jordan Szoke opened the season with a bang by securing the top spot in qualifying and in the race final on the Mopar Express/Hindle/BMW S1000RR. Ben Young, on the Scot-Build/Hindle/BMW S1000RR, kept the pace with a 3rd in qualifying, and finishing in 2nd in the race final. "I got lucky today, it's never over until it's over. I put in some hard laps to maintain the gap to bring it home for the win. Winning is never easy, I always hit the reset button every season, regardless of how many wins or championships you have there's always someone hungry to beat you." says Szoke. Young said, "We had a great weekend and good solid start to the season. We had a good set up for SuperPole on the Saturday, managing to get where we wanted to be as in lap times for Sunday's race. During the race, the wind picked up and had an effect which was unfortunate as this let Szoke get the gap. Stoked for 2nd place finish and we're heading to a track I like for round two. We'll be chasing hard for the win." Matt McBride. on the Jukasa/BMW S1000RR claimed the last spot on the podium. Trevor Daley, on the One Speed/Hindle/Kawasaki ZX-10R came in 4th place after coming to the track solo and prepping his own bike for the weekend. Samuel Trepanier, on the Blysk Racing/Hindle/BMW S1000RR came in 5th place after a complete re-build of his bike from a bad crash in practice on Friday. 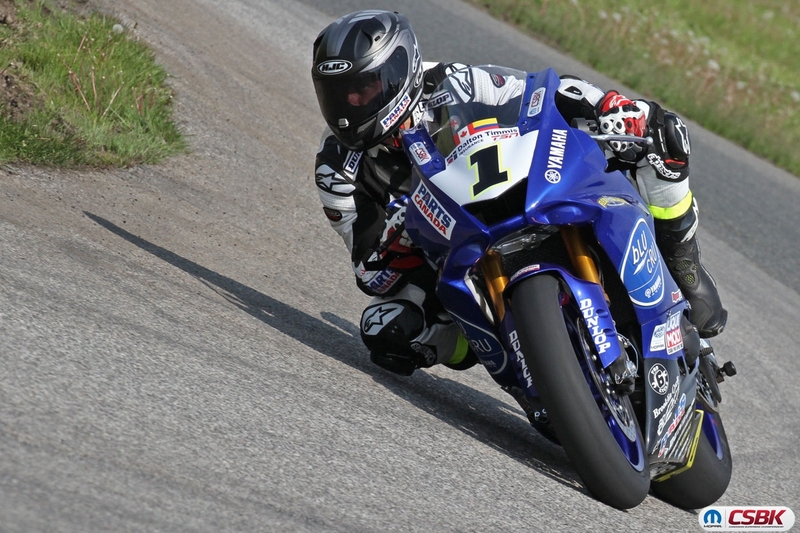 In other news, Tomas Casas, on the Peterborough Cycle/Hindle/Yamaha YZF-R6 is holding In In other news, Tomas Casas, on the Peterborough Cycle/Hindle/Yamaha YZF-R6 is holding onto his Liqui Moly Sportbike Championship by taking the 1st win of the season. Casas rode super consistent throughout the entire race keeping a nearly 7 second gap behind the 2nd place of Mitch Card (YZF-R6). David MacKay, on the Mack Attack Racing/Hindle/Kawasaki ZX-6R came in 3rd place. MacKay was especially happy with 3rd place, as this was his first National Pro podium ever. Casas admitted that he will likely have tougher competition during the next round at Grand Bend, as Card and MacKay are regulars in the SOAR series that takes place at that same track. 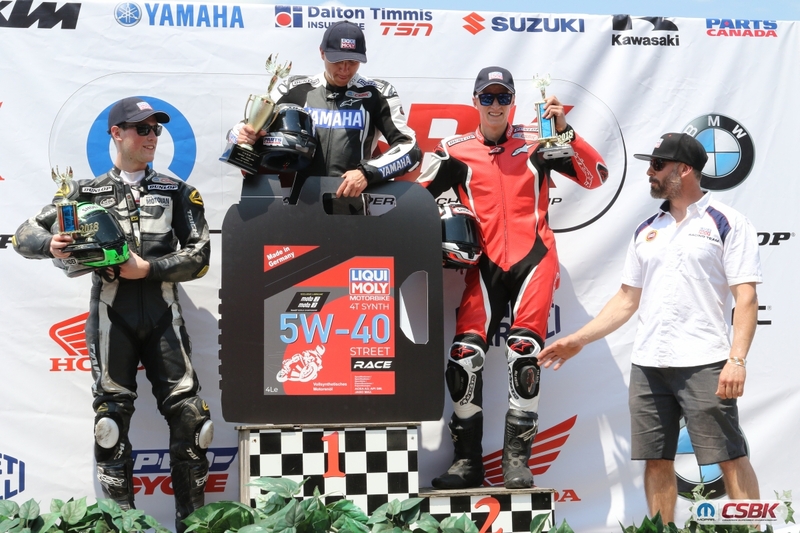 In the inaugural year of the Amateur Lightweight Sportbike class, Jake LeClair claimed back-t0-back top finishes by winning both Race 1 and Race 2 on his Oshawa Cycle/Hindle/Yamaha YZF-R3. This new class has been super popular for 2018 as riders as young as 15 compete aboard smaller displacement sport bikes. Lightly modified bikes ranging from 250CC all the way up to 500CC are eligible to race in this class. 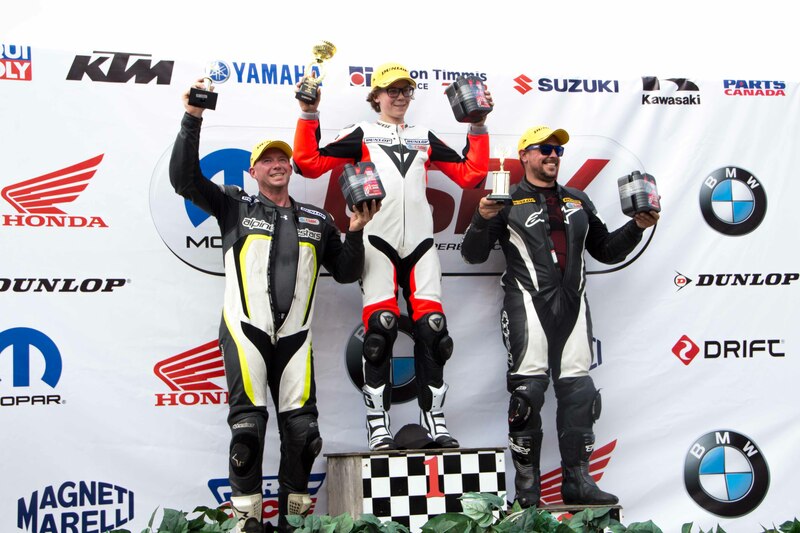 Round 2 is taking place next weekend (June 8-10) at Grand Bend Motorplex in Grand Bend, Ontario. This premier racing venue hosts drag racing, motocross racing and road racing. It's a great venue for spectators and is in close proximity to one of Ontario's most beautiful beaches. 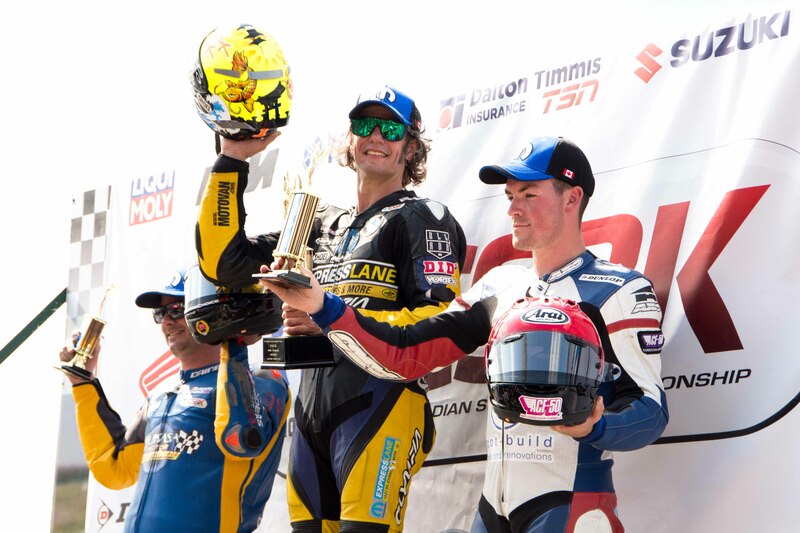 For more information, including rider bios and schedules, check out the Canadian Superbike Championship website. See you at the races!